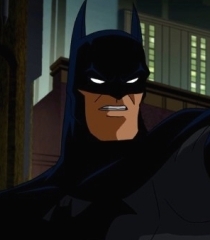 Shows: Batman: The Brave and the Bold, Batman Beyond, Batman: The Animated Series. Movies: Batman: The Killing Joke, Batman: Gotham by Gaslight, Batman Beyond: Return of the Joker. Games: Batman Forever: The Arcade Game, Lego Batman 2: DC Super Heroes, Batman Begins. Shorts: Batman Of Shanghai, DC Showcase: Catwoman, Gotham Stories.